Welcome to the Stamp of Approval blog hop! I used two different stamps to create a large focal point for my card. If you're not familiar with Stamp of Approval basically it's a box of super awesome goodies that Catherine hand picks to pack up and mail out. The first box sold out super quick so if you're interested or think you might be you can get all the information here. Your next stop on the hop is Melanie Muenchinger and I know you're going to be blown away by her talent! Gorgeous card! Love the colors. So pretty! The white dots add so much to the flowers....and the leaves are looking awesome too! Love the stamps used and colour. This will make anyone's day and world more beautiful. Thank you for sharing. I only can say: Love your card! Great designed and colored! Everything just POPS! It's perfectly gorgeous! very pretty! Love the colors together! Great card and great vibrant color combo! I enjoyed your video! Your card is beautiful!!! Thanks for sharing this great collection!!! Wow! Breathtaking!! I love how your design fills the card but still leaves lots of white space! Love the vibrant colors! Gorgeous card. Soooo pretty!! Thanks for the shading tips that you shared. Oh Wow! Your coloring skills are amazing!! Beautiful card!! Awesome card ! Loved the coloring! Beautiful card! I love the white detail on the flowers. It makes them pop. Love your coloring I wish I could get those colors my stuff always ends up muted not vibrant!! Well, I need to put my tongue back in my mouth and close my dropped jaw! Just speechless at this beautiful card! BEAUTIFUL card. Love your video as well, especially talking through how you put the two stamps together to make the card's image. Awesome color combination. I love those blue flowers! Beautiful card. I love the vibrant colors. I'm in awe of our coloring, this is so beautiful! You are too kind for my intro, thank you! Beautiful cards. I love how the colors pop off the front of the card. Wow! I really love the blue and the green together! Wow...the blue just jumps out. Beautiful. WOW, I learn so much from watching you color!! Love your flowers and leaves! 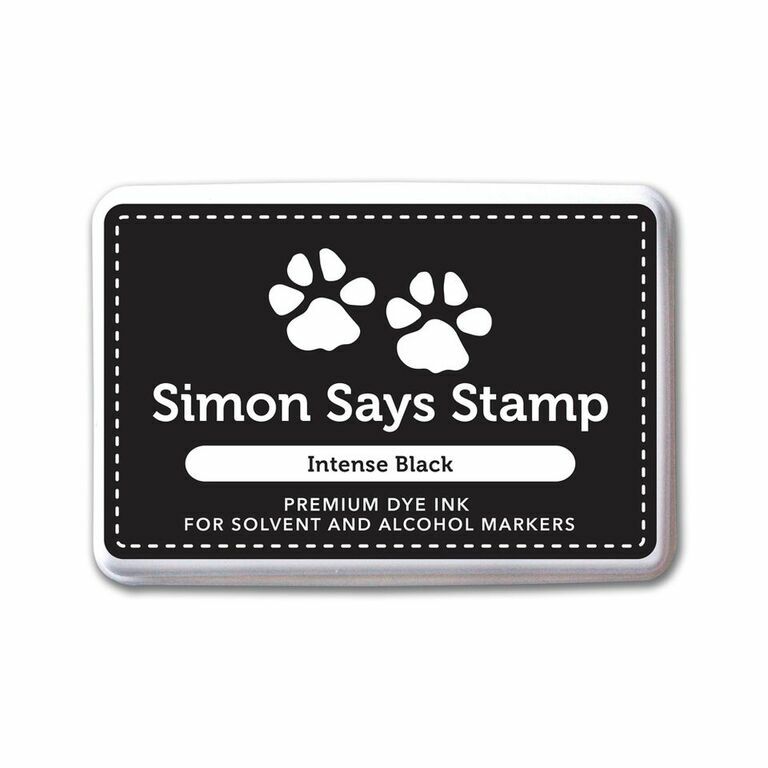 Your card is GORGEOUS and I'm loving this stamp set so much I can't wait to get it. wow, that card is a knock-out! Such vibrant colors. Love that blue. Gorgeous card, and love the bright colors against the white background. Always love your creations. So pretty. I really like watching your video. The white dots down each petal really make it stand out. Your color choices are beautiful! I was wondering if these are die cut or fussy cut? Thanks for sharing and for the video. Those flowers are so much fun to look at! I must admit, they remind me of Thing 1 and Thing 2's hair :) I love the dots you put on them. Beautiful card. Your colors are so gorgeous and vibrant! Luscious mad coloring skills! Beautiful card! Love this card! It's so beautiful! Love how brilliant the colors are in this card. So beautiful, Kelly. The colors are gorgeous, and your video was really helpful and well done. Thanks so much! Beautiful card. Love the rich colors. Thanks for sharing. Gorgeous colors, your card is stunning! Beautiful card. The video is terrific. That is breathtakingly beautiful! I want to be like you when I grow up! I just can't seem to get my coloring to look as pretty yours! Wow and double WOW! Love the colors. Love the bold, bright colors. I LOVE this color combo!!!! My socks are officially blown to pieces with your brilliant card! Love the vibrant colors and shading you achieved. At first glad I thought you had die cut the elements because there was such dimension on your card. I'm going to watch your video now so I can color like you when I grow up. :) Thank you for joining Catherine for this blog hop! I'm so inspired by your creation! Your colors are so beautiful! My very favorite colors. This will be a must do card. Beautiful card and very informative video. Learned a lot, thank you for all the wonderful insight on coloring. Beautiful card and thanks for the video! Wow! Love the colors of this! Gorgeous card, love those colors! Kelly, your flowers, coupled with the shading, are so amazing and awesome! I love all your videos. Thank you for all you do to share and contribute to this craft! Your card is stunning - love it! Thanks for sharing. Wonderful card and I love those awesome colors. You really made a beauty with this one! Really really like the effect of the colors. Terrific job on the flowers -- they rock! Love this card. The flowers look awesome. Thanks for sharing. You are so talented. Absolutely stunning. Thanks for sharing. Love the bright bold colors. Beautiful. The flowers are fabulous. Love the colors. Gorgeous coloring on this beautiful card! I love the way you used the leaves and flowers together. Very creative. Kelly, you are one of my favorite artists. Everything you color is so vibrant and bold. Just jumps off my screen. This is a gorgeous design for the SOA Hop! You're such a coloring genius, Kelly! Cannot believe your coloring and how much those dots enhance the images. Just amazing. As usual, your card is stunning. Love the combination and boldness! The green and blue are absolutely stunning! Unbelievably gorgeous. Amazing. Great job.Wow. What a awesome flower, very unique!!! Beautiful card and such fun colours too. Thanks for sharing. This card is just incredible. The colors are bold and inviting. Oh wow! Kelly you are truly a coloring genius. I am so shocked to see that your card has no dies. Your stamped image just pops right off the card. Stunning! Very pretty card. Love the bright blue on the white background. Very vibrant! I love the colors! Such a gorgeous card, Kelly and your coloring is perfection! Thanks for sharing both your card and your informative video! Sao talented, wish I could do half as well! Beautiful card and colors! Great tutorial on technique! This is very pretty. I like the use of the jel pen and the wink of stella. What a beautiful card Kelly. Love how green and darker blue just go together perfectly also. Thanks for the video. I always have colored leaves one way. I really appreciate you teaching me different ways for different looks. High contrast color, how lovely! I love your vibrant flowers! They look so dimensional. Love your colors and design. Beautiful card! Beautiful..I love the blues and the greens you chose. Great coloring skills, I'm still working on that! Seriously WOW! This image jumps off the page! Thanks for the inspiration!! Amazing color in your work! Love this card and I always love your videos and coloring! Thanks for sharing!! Wow, love the colors and I do think they can be a spring into summer color. Beautiful coloring, ideas, and tips. Awesome. Your card is STUNNING...so beautiful! Your card is Stunning! I love the colors and layout of it all! Those flowers are so beautifully colored they just pop right off the page! Beautiful card! Gorgeous floral card! I love it! Really pretty! Such nice colors. Beautiful card, just awesome. Thanks for showing us your coloring techniques. The flowers really pop-out on the card and the blue and green combination is my favorite. Thanks for sharing. WOW! Your card is glorious. I love the gel pen outline on the sentiment, it certainly makes it 'pop'. Thanks for sharing your talents. Love the bold colors and details in your coloring! Oh my heck, I love how you colored the blue flowers and then put some dots on the. Really loving it! Nice card but all I keep thinking is that flower would make great hair for Dr. Seuss character. Oh I love this stamp and what you did with it. Really great card! great card, love the color! Beautiful card. Your shading is fantastic. Gorgeous card! Thanks for sharing. Beautiful!! Especially like the white highlights and added pattern. My eye really likes that! Kelly, your flowers and heart leaves are beauties! I always enjoy you videos and techniques. Thanks for sharing. Love your card! Beautiful colouring, thanks for the video! I really like all of your cards. This one is great!! This card is so pretty! Thanks for the video!! Another card that has blown me away. You are so inspiring! Very creative way to use that stamp set. Shows how versatile they are! Beautiful card. I loved watching you do all your techniques. TFS! I love how all the stamps in the SOA box work together. Your card is so vibrant and lovely. Your flowers are so beautiful. They look like they are swaying in a breeze. Your card is so very pretty. Great job. This is certainly one of my favorites! Gorgeous card! Such vivid colors. Really pops. Love this card! Your colors are stunning. Oh my goodness, I didn't see this stamp set like you have created it. I was seeing this stamp as a succulent and would have colored it green. Love it! Thanks for the video and I love your card! Thank you so much for sharing! Beautiful colors on this card. Love the SOA stamps, and can't wait to receive mine. Beautiful! Love your card. I really the colors and the stamps you used. Thanks for sharing! Love the blue and green together in this card. Beautiful!!! The card is just gorgeous and I truly appreciate the detailed video. I always feel like I learn a lot from you. Striking! Love the colours, the placement, everything.....well done! Gorgeous card! Loved your video on coloring with copics. I love to color with them and appreciate all the great tips. I love that blue! Great card! What a beautiful card! Would love to win this SOA box! Stunning card, love the coloring. Your shadows really make the florals pop off the card front. Wow Kelly , the colours are so beautiful . A lovely card . Thank you for the tutorial . You and your art continue to amaze me, I love this card and the feathery flower in this set. Beautiful and I am crazy about the two sentiment stamps in this collection. Wow, the flowers and vine look amazing. Thanks for sharing a video with us! Kelly how vibrant and I am so excited for the SOA box love these flowers! Great card and colors. What would have happened if you flipped the flower over so the orange center was on the other side? Fabulous collection so versatile. Love the cards you are creating with it. So vibrant!...LOVE the shading that makes the flowers POP! Absolutely beautiful. Husband walked by and commented how lovely it was! Thx for the tutorial. Clever use of the flower stamps with the vine! LOVE the colors-so vibrant. Fantastic card. It is so light and airy. Great job. Love how you dtructured this card. Thans for sharing. Thank you for sharing your awesome talents! You really put a lot of thought and time into your work and it shows! Beautiful! Lovely card! Fantastic color combination too! Can't wait to get my hands on the Stamp of Approval box! I can't wait for SOA. This will be my first box. I just hope I'm able to get one before they sell out. Love the bright colors so pretty! Thanks for sharing!